We produce large scale ultrapure high quality ordered pristine graphene flakes for industrial customers using patented green technology. Graphene is considered one of the most prestigious, innovative and advanced materials of the 21st Century. Since 2010 this extraordinary material has taken center stage with a wide range of proven applications, from polymer composite to microelectronics and beyond. New applications for graphene continue to be discovered creating global news from the scientific community and industrialists, through to science enthusiasts and research facilities already familiar with the extraordinary properties and applications of graphene. The world is beginning to think more and more about graphene. NanoGraphene Inc. is a New York based graphene and graphene based materials company and is now one of the fastest growing graphene companies in the USA and internationally. We have developed a super clean and green technology to produce large scale pristine graphene for industrial customers, with the technology under patent production. To produce high quality graphene using our developed technology we only utilize distilled water and graphite. We do not use any chemicals or materials that could potentially harm the environment directly or indirectly. 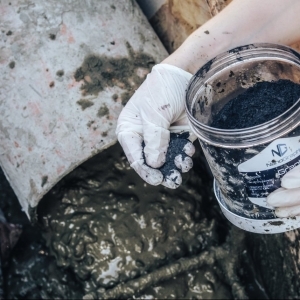 Our developed technology can produce up to 6 tons of pristine graphene per month. We are presently working on a scaled up production facility of up to 8% Nitrogen doped pristine graphene flakes, which will be finalized in next quarter. The primary focus is not to adversely affect the environment in any way, and keeping that in mind continuing technology development is underway. NanoGraphene intends to provide technical and R&D assistance to all of our customers on incorporating graphene into their products and beyond. NanoGraphene produces and supplies different graphene flake sizes to industrial customers to suit their needs depending upon their requirements and application fields. The developed ultrapure (C > 99.6%, O <0.03%) graphene flake has an average number of layers of up to five. We have full control over product consistency and product quality. In order to maintain uniform product consistency and quality, testing is done of each batch of our material. Graphene purity is our number one goal. Importantly, we have signed offtake agreements with some of the world’s best quality graphite mining companies to secure our industrial customers long-term business strategy. 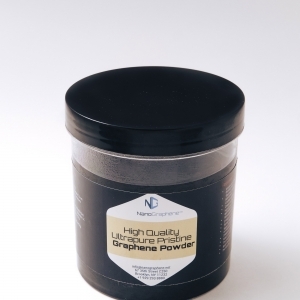 Presently NanoGraphene is focused on the production of un-oxidized, ultrapure quality ordered pristine graphene flakes, which is the material in highest demand for a variety of applications. Our current target markets are polymer, rubber, plastics, water filtration, cement and concrete, road construction, coating and paint, thermal management and Li-ion battery technology. These markets were determined based on product quality and production capability. 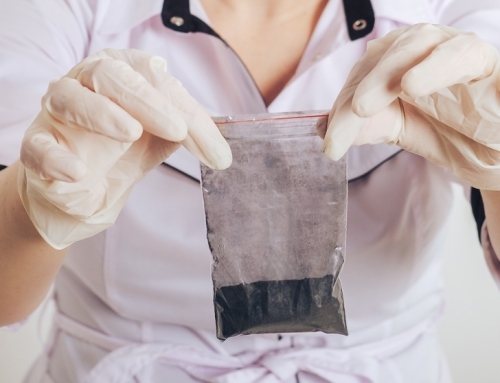 NanoGraphene is producing different types of pristine graphene based raw materials and additives for the development of different commercial applications. For more information about our different products please visit our website or email us. Full or partial customization of each product can be done upon request or depending upon the specific application field. Our expert scientific team will guide you through each process. We are fully committed to supplying the best possible quality product to each industrial customer at an affordable price. We value our customers highly and are committed to fulfilling their requirements long term and working with them. Please contact us to receive a Certificate of Analysis (CoA), Product Datasheet and MSDS for our products. 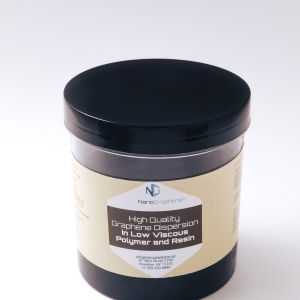 High Quality Graphene Dispersion in Low Viscous Polymer and Resin. For further information on NanoGraphene’s products and specifications please visit our website or email us and we will respond to you within 2 working days.NanoGraphene is also working with more than 30 industrial customers around the world on the development of a number of different commercial products which utilize graphene. We will provide a free sample to each industrial customer upon request. If you are interested in working with us please contact one of our representatives below.